Cassini: We all come across many different newly launched spacecraft missions and in the recent past, such news has got the tag of being normal. But this one is exactly opposite than others. This one calls for an undertaker. It’s time spacecraft Cassini takes its final breaths, plunging itself into the atmosphere of Saturn with an astonishing speed of millions of miles per second. 1.1 When, Why, and How will Cassini die? 1.3 How Cassini helped us? When, Why, and How will Cassini die? The decision to do away with the spacecraft, launched in 1997, was taken keeping in mind its dwindling fuel resources. Even though other ideas like plunging into Titan, leaving the Saturn system or making close approaches and/or changing its orbit were touched upon but this idea have got the tag of being imperative to ensure protection and prevent biological contamination of any of the moons of Saturn now thought to offer potentially habitable environments. The Cassini spacecraft will go through the rings 22 times and the one on 26th April will be its first one. It is scheduled to send in its last data relay on September 15, 2017, when it will beam its last batch of images. The spacecraft, named after famous astronomer Giovanni Cassini – first man to notice the divisions of the Saturn’s rings was launched atop Titan IV rocket in 1997 and entered into Saturn’s orbit in July 2004. Since then it has been orbiting around the planet, collecting data to further our knowledge base of this 6th planet in our system. The mission also consisted of a lander called Huygens, which landed successfully on Titan, its largest moon on January 14, 2005. It successfully returned data to Earth, using the orbiter as a relay. This was the first landing ever accomplished in the outer Solar System. Only two weeks ago NASA had announced that Cassini had detected chemical reactions happening below the icy surface of Enceladus, suggesting life is possible there. This was the latest one to come. The spacecraft has helped us finding at least 7 moons of the planet and again and again it has indicated that Saturn’s moons are among the most hospitable places in the Solar System for potentially supporting life. The spacecraft recently did one of its last fly-by of the Titan, Saturn‘s largest moon which seems to be the most promising bet of finding life in our system. All this courtesy: the dying spacecraft! The NASA has announced a press conference on Wednesday morning where they will be dealing with the details of the whole process. And to mark this historic moment, Google has dedicated the Doodle for April 26, 2017. 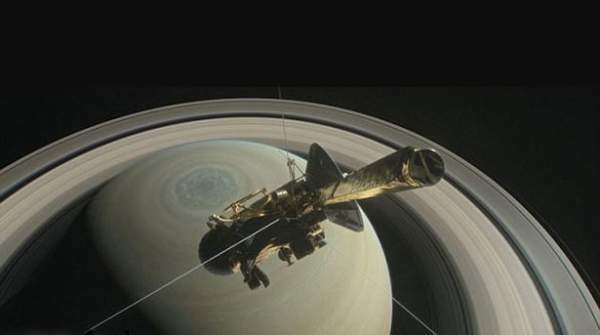 It shows ecstatic Cassini clicking pictures of the Saturn, between its rings. 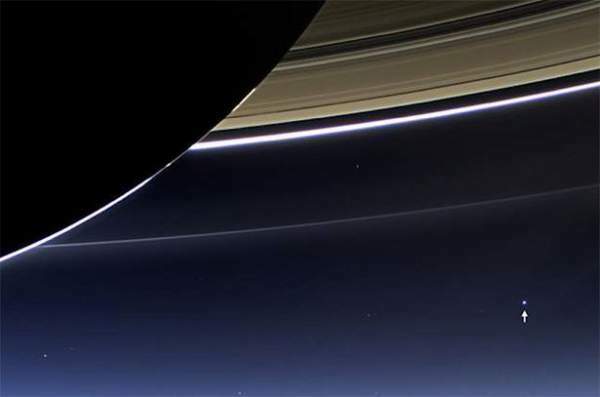 The spacecraft also relayed back stunning pictures of the blue planet as seen from in between the rings and the planet. The breadth taking pictures are worth a watch!